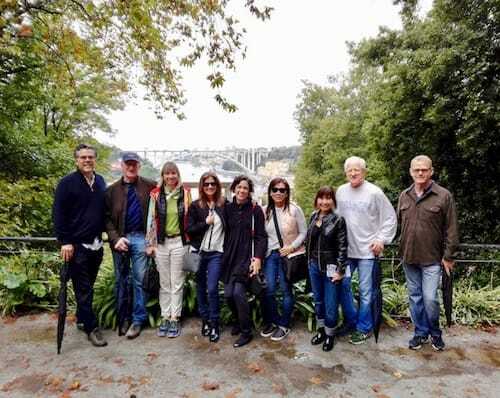 In my years working as a tour guide, I’ve had the chance to hear all sorts of praises for my home city: charming, quaint, laidback, city of Bridges, of Wine, of great food, etc. But never have I heard anyone bragging the local music and song, or music venues in Porto. Porto has got a bustling musical scene. Being the birthplace of Portuguese Pop/Rock legends such as Rui Veloso, Clã, G.N.R., Ornatos Violeta, Blind Zero, Táxi; the cradle of the new 90’s national hip-hop movement spearheaded by proud “Nova Gaia” sons Dealema and Mind da Gap; or the heavy metal web initially sowed by the extinct Tarântula and picked up by the likes of MOSH, Ominous Circle or Equaleft. Since ditching its totalitarian regime in 1974, Portugal has been on a steady rise to globalization and open mentalities. With Pedro Abrunhosa’s (another Porto native) revolutionary 1994 album ‘Viagens’ as a leading example of how national music was also worth a listen, Porto became more and more a city of culture and music venues. In 2001, having been nominated European Capital of Culture, infrastructures were massively improved, making Porto an almost inevitable stop for any major international act touring the world. 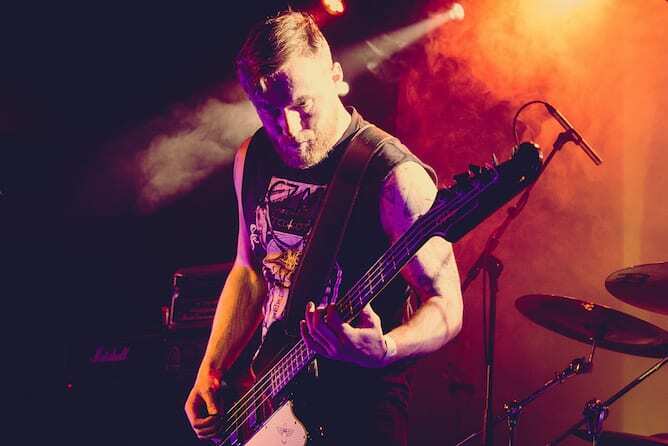 Make sure you won’t miss any of your favourite shows, by checking and bookmarking our list of the top music venues in Porto. Built on the grounds of a deactivated tram terminal, the arrival of the “House of Music” came like a meteor. Not only because it changed the way music venues in Porto interact with their audiences, but also because when seen from above the area literally looks like a meteor crater. The brainchild of internationally acclaimed Dutch architect Rem Koolhaas, it was inaugurated in 2005, built within the context of European Capital of Culture Porto 2001 (yes, we know). The building has become a Porto icon ever since, admired by music lovers and architects. 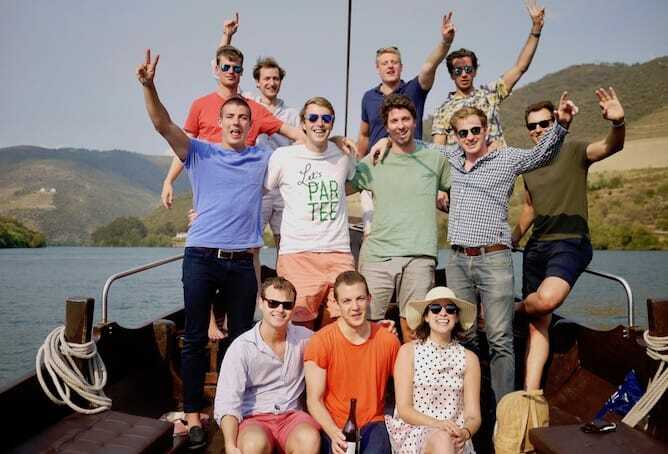 Initial criticisms of elitism have been dissipated with its eclectic agenda and bold projects. Among them, Friday night reggae concerts in the garage, Saturday night clubbing sessions, or Sunday morning kids’ workshops. The “House” is also city minded. The inclined pavement surrounding the venue has become the go-to place for skating in the city. During the summer a stage is set in this surrounding area, featuring a variety of free concerts. 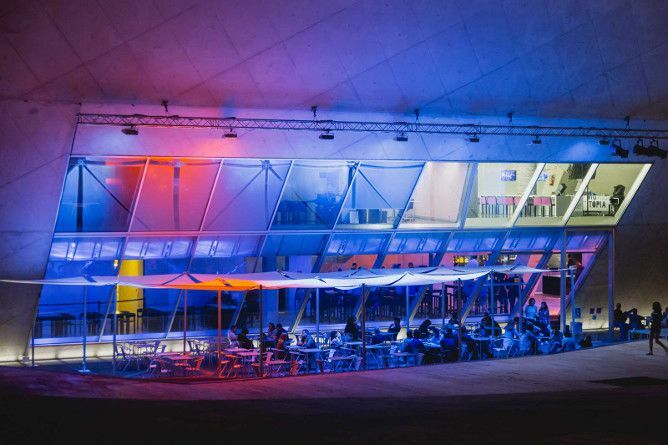 Even if there is no concert playing, don’t miss the opportunity to have a coffee or even a meal in their café on the ground floor – lunch menus start at €12 and dinner at €20. A tranquil place to study, work or even tutor maths (as this writer has done multiple times). 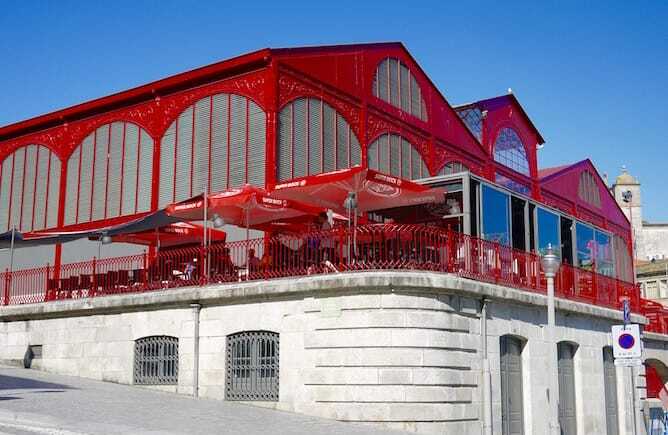 Come and get to know the modern gem of music venues in Porto. Join their guided tours in English every day at 11am and 4pm, €10 / person. 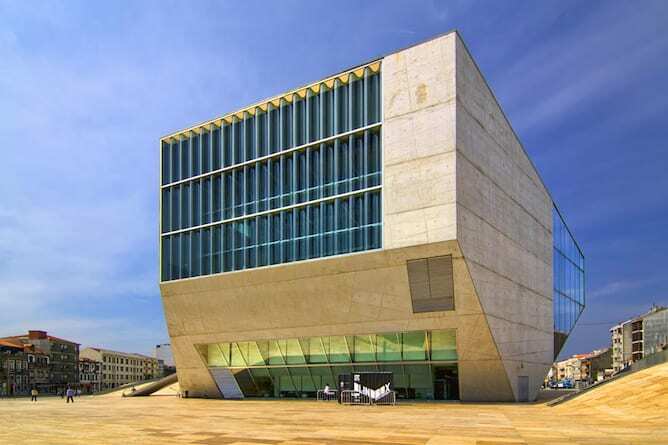 You can also check Casa da Música’s agenda. How to get there: Metro station ‘Casa da Música’ served by lines A, B, C, E and F.
“The Coliseum is ours”, shouted the masses that gathered around this, one of the most iconic music venues in Porto, in August 1995. What started off as a small and almost impromptu protest, by a group initially composed by the mayor as well as Porto-based artists, became a tour de force of local residents, shopkeepers and fishmongers, fighting against the selling of this music venue. Erected by the initiative of an insurance company in 1941, the structure was to be sold by another insurance company to the “Universal Church of the Kingdom of God” (‘UCKG’), in the summer of 1995. When the deal came to public, the protests came swiftly and undoubtedly. 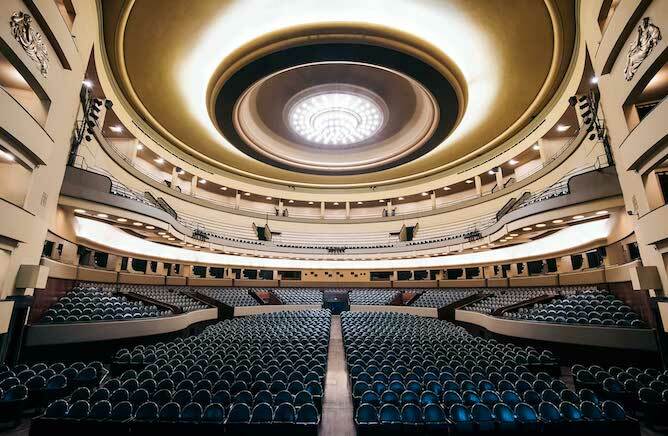 Among them, the iconic pianist Helena Sá e Costa (1913-2006) who had premiered the venue back in 1941; and Mr. “sunglasses-at-night” funk-rock pioneer Pedro Abrunhosa, who cuffed himself to the Coliseum until the deal was finally called off. The public had spoken. The music venue would ultimately be bought in November 1995 by a consortium composed by the municipal authorities, the Culture secretariat and individual associates, to whom it belongs until this day. Though, in a twist of fate, yet another insurance company sponsors the venue’s name since 2018. 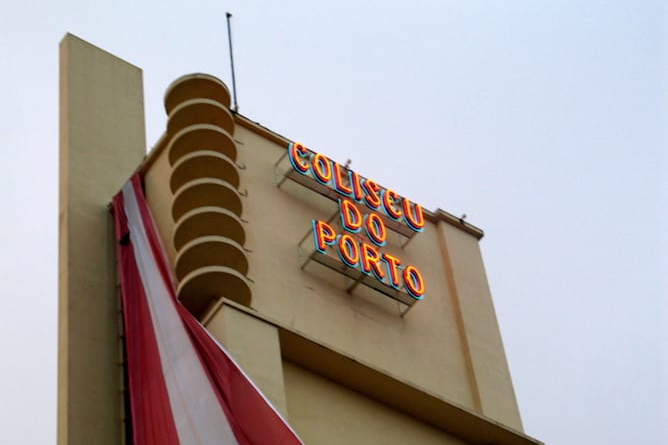 The most beloved music venue in Porto had avoided a fatal blow. The house to where portuenses (the inhabitants of Porto) had gone for over 50 years to see opera, jazz and pop-rock stars, as well as the Christmas Circus Show and Fado shows, would keep bringing the city delightful gigs. Marked by national and international acts, by the likes of Bob Dylan (twice), Massive Attack, Pat Metheny (record holder for most concerts at ‘Coliseu’), B.B. King (Rui Veloso’s idol, who he invited on stage for a heart moving duo) and even Miles Davis – who, on the cold night of 16th March 1991, got so cold on stage that he played for an hour and then asked to be taken back to his hotel room, such were the conditions in the middle-aged music venue. With its infrastructures refurbished in 2001, this historical music venue in Porto still hosts the biggest national and international acts. Not unlike Wembley, this is where upcoming bands get made. Performing in the Coliseum is a rite of passage to stardom for national bands, today more than ever. Find what could be the next biggest national act in their agenda (no English version). Still featuring Christmas season Circus shows, ideal for kids! How to get there: Metro station ‘Bolhão’ served by lines A, B, C, E and F, and a 3 min. walk. Featured on our list of top art déco buildings in Porto as well as the celebrated song by brilliant lyricist Carlos Tê and Blues mastermind Rui Veloso, the Rivoli always had a special place in the hearts of the people of Porto. 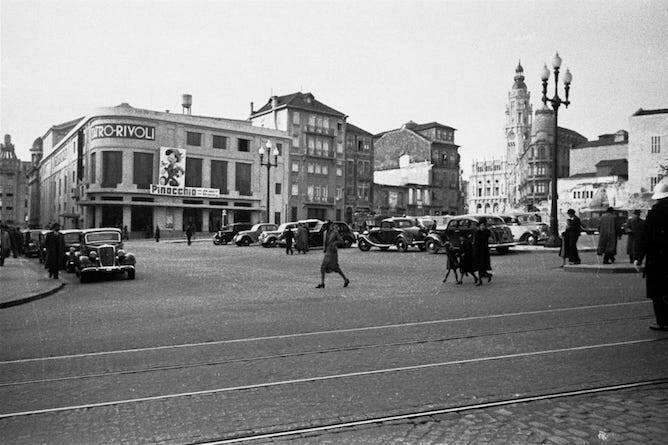 The first building to occupy what is now known as the Dom João I Square, was described by the newspapers as “undoubtedly the epitaph of modernism” back in 1932. 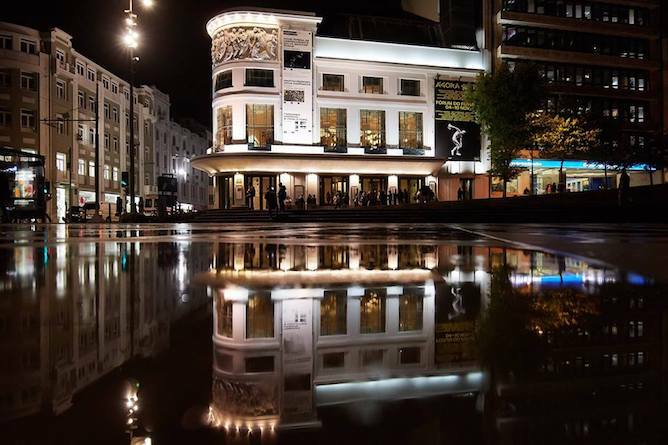 Seen as a one of the main theatres in the city, it received various renowned operas, national and international pianists and cellists. However, with the competition of the newly invented television and other movie theatres, Rivoli would enter an almost 30-year decadent period. Initially in the 60’s, and later on in the 80’s, the building became an aim of projects to turn it into banking headquarters and commercial space. During this period, the venue’s decline was evident: almost empty gigs and heaters that had to be set up on stage during cold nights. Porto’s City Hall eventually would purchase the building in 1989, turning it into a Municipal Theatre. After 3 years of deep renovations that kept the structure, façade and noble spaces of the building unscathed, the Theatre would go through a renaissance, presenting a prolific house-made programming. 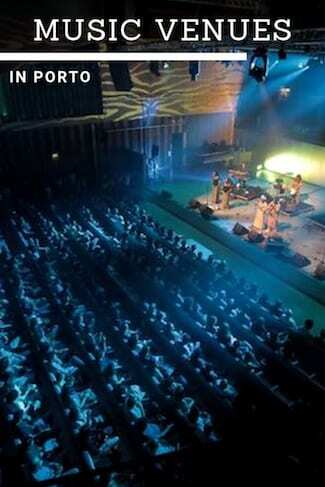 It also hosted a myriad of productions by “Porto 2001” while Casa da Música was still under construction. The following year, however, the new mayor triggered a process of privatization of the theatre. 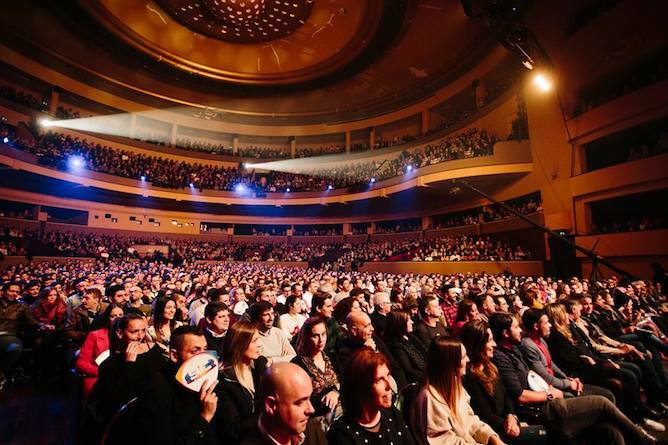 Not unlike the events with Coliseu do Porto, the announcement sparked protests on October 2006: dozens of cast and spectators of a play barricaded themselves in Rivoli’, for three days, demanding the calling off of the concession. This time, it didn’t work. The theatre was, ultimately, concessed to a musicals’ producer from Lisbon, Filipe La Féria. His musicals became, from then on, almost the entirety of the theatre’s programme, until abandoning the theatre in 2011, alleging financial difficulties. 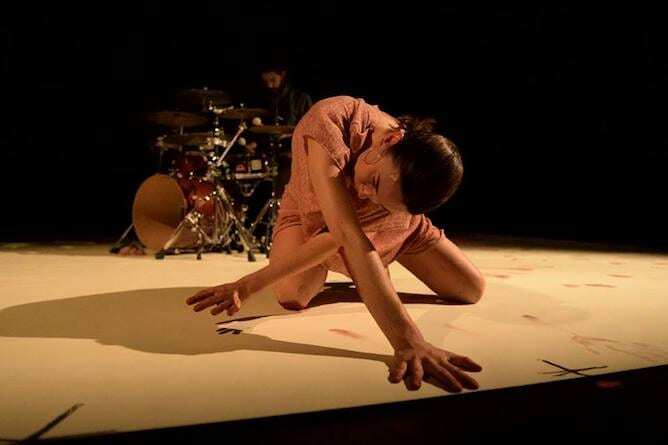 Today, the theatre is at the centre of the cultural scene and of music venues in Porto. So don’t forget to check their agenda. How to get there: Metro station ‘Aliados’, served by line D, and a 1 min. walk. 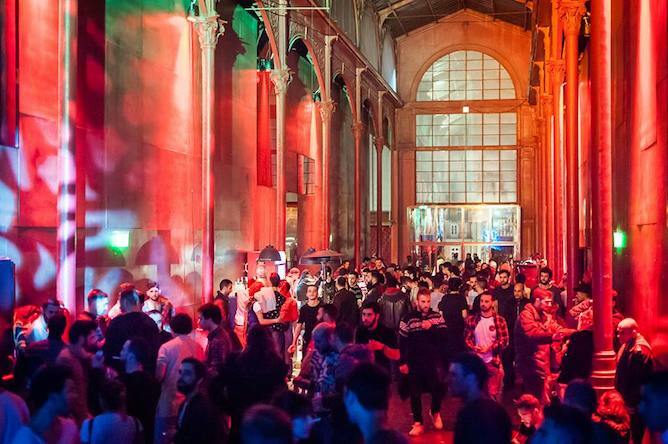 Living its second life in the historical building of Mercado Ferreira Borges since 2010, we find the most emblematic alternative music venue in Porto. Author’s note: despite the usual mix-up, Hard Club is in no way related to Hard Rock Café. Not even remotely. Lisbon, 1996, ‘Restelo’ Stadium, is where it all began. 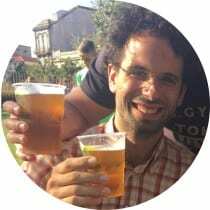 Two friends, musicians, are at an AC/DC concert when the question suddenly arises: “Why do guys from Porto have to go to Lisbon to see concerts?”. 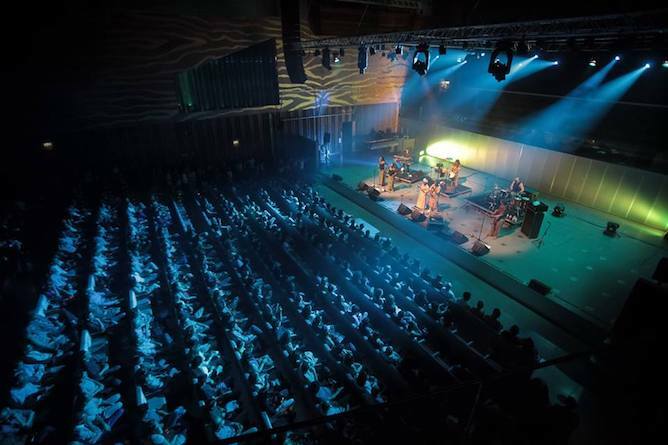 Despite there not being any shortage of music venues in Porto, they would be either too big (like Rivoli or Coliseu) or too small, and Casa da Música wouldn’t come for another 9 years. Just a year later, taking the place of an old cooperage on the riverside of Gaia, the Hard Club is born. 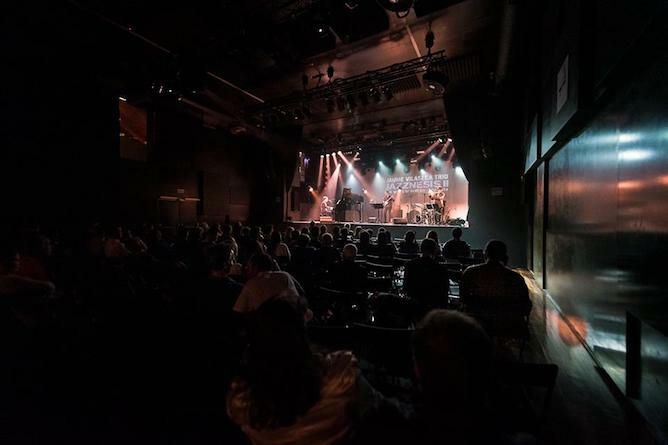 Described by the director of a major Portuguese festival as “one of the most beautiful music venues in Europe”, the Hard Club became the place to be for musicians along with its eclectic and innovative programming. Sadly, on December 31st 2005, the beacon of the alternative music scene would close doors. Rumors pointed to an attempt by the owners of the building to lease the space to a big hotel chain, in line with Porto’s rise in tourism. The project was never materialized, and the space would be a perfect stop to admire Porto’s decadent cultural heritage. The one of a kind metallic structure of Mercado Ferreira Borges, the new home of Hard Club. However, in 2010, a public contest for the exploitation of the historical building of ‘Mercado Ferreira Borges’ in Ribeira would have ‘Hard Club’ as the single bidder. 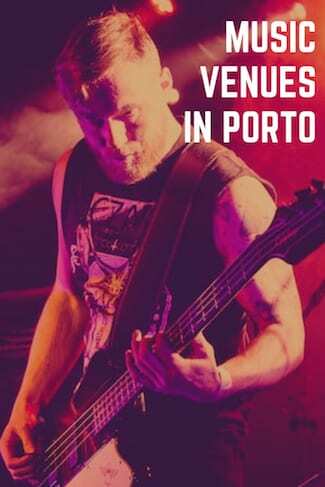 So if you want to enjoy one of the best music venues in Porto make sure to check Hard Rock’s agenda. How to get there: Metro station ‘São Bento, served by line D, plus 8min. walking (downhill). Join our personalized private tours to discover more secrets about music venues in Porto! Note: the cover picture was taken by Kelav Slavoran.